The tech itself requires one free PCIe slot for the WiGig card – I’m afraid that means mini-ITX builds won’t be able to ditch wires anytime soon – and this add-in card allows your PC and Vive headset to communicate through the 60Hz frequency. This, alongside the use of the DisplayLink XR codec, results in less than 7ms latency, which is pretty crucial if you don’t want your mind to become disconnected from your body, and works up to six metres away from the PCIe cards sensor. But there’s still one cable required from your headset even with the wireless adapter installed. That’s the one providing all the power. The wireless kit also comes with a single HTC QC 3.0 battery pack to get enough juice to power the wireless adapter and the Vive headset itself. The included powerbank is intended to last up to two and a half hours, but if you want a little more juice for extended game play then you’ll have to plug in another powerbank. Luckily, it’s a standard USB Type-C connection, so most reputable powerbanks you have lying around should do the trick. But that’s another added expense on what is already a pricey accessory. The Vive Wireless Adapter is certainly a freeing experience, but one which has a pretty high point-of-entry for new users. 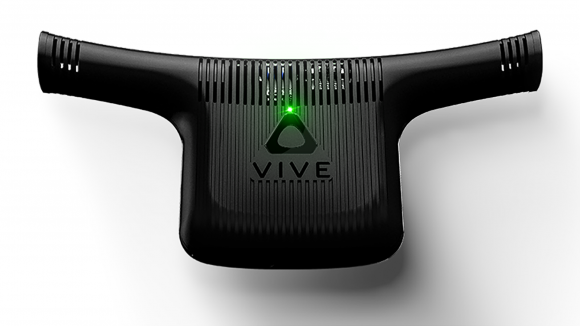 It’s also quite odd that the Vive Pro, launched earlier this year, seems to have been created with little regard for the upcoming wireless adapter. Especially odd considering the Vive Wireless Adapter was announced long before the Vive Pro’s launch. Owners of the already dramatically expensive Vive Pro headset will have to cough up an extra $60 for the wireless adapter ‘compatibility pack’. This includes a connection cable, extra foam padding, and a unique attachment device to get the adapter fitted and working alongside the professional headset’s new and improved headband design. So far Oculus has shown no signs of working on a competing wireless adapter. As such, that means a totally wireless VR experience will cost you roughly $900 for the basic kit required from HTC. 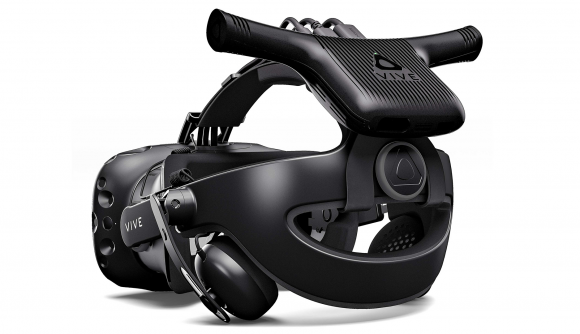 That’s a standard Vive headset, with all the trimmings, and the Vive Wireless Adapter – potentially you can find it for less by shopping around, however. That’s by no means affordable for most, but, comparatively, it’s not much more than the barebones HTC Vive Pro. In light of Vive’s latest accessory, the Vive Pro’s price seems just that much more ludicrous than it did at launch.